We had one requirement for our honeymoon. After a relaxing day at the beach, there would be no packing up of things, no sand in our shoes, no schlepping to the car. We wanted something right on the beach, or damn close to it. We crowd-sourced suggestions and the consensus was Tulum, Mexico, an ancient beach-front suburb of Brooklyn on the Caribbean Sea. 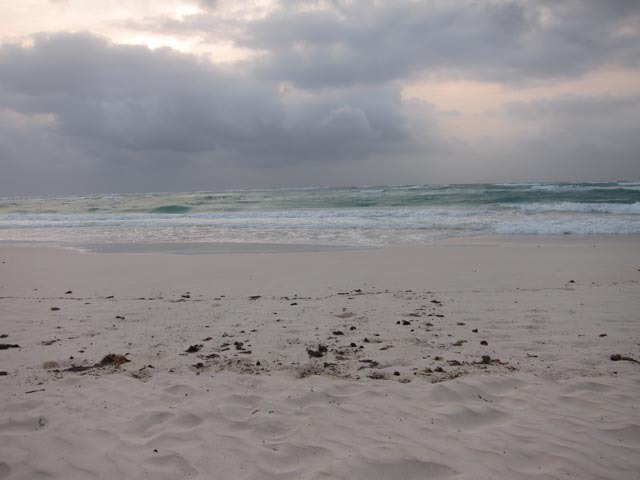 We flew into Cancun and quickly left it behind by renting a car for the drive south to Tulum. "Muy facil," said the rental agent, and he was right. Follow signs and drive for just under two hours on the impeccable highway (after this winter in New York, a smooth road is almost vacation enough...) past glorious resorts, golf-courses and Playa Del Carmen, take a left at San Francisco de Asis supermarket and you're there. If you had gone straight for a few blocks, you'd be in the middle of Tulum Puebla, the city, equal parts tourist and traveler hang-out and actual city. Take that left and there's another big supermarket featuring ATMs that dispense in pesos, which is indispensable. Keep going and the road curves to the right as you merge onto Boca Paile, the beach road, home to many hotels, shabby and chic, and beautiful white powder beaches. There's a range of hotels, some luxurious and some less so. Many of them seem to specialize in offering yoga retreats. We did not want yoga. Breathing the beach air was all we needed to reach enlightenment. Some have simple cabins with shared bathrooms. We did not want that either. With a recommendation we settled on Playa Azul which seemed like a decent compromise. The cabins had their own bathrooms, the electricity worked for 24 hours, they didn't make us do yoga--it was almost civilization. Not quite though as the WIFI didn't work as well as advertised, but that's ok as it forced us to if not quite go off the grid, only visit it every now and again. They were also in the process of installing air conditioners, which would've been nice as it was getting a bit humid before we left. Sure there are some more rustic eco-chic hotels along the beach that would've laughed at our city lifestyle, but this was roughing it enough. Most importantly, we were able to walk a few yards out of our cabin and find ourselves on a pleasant beach. The beach had its share of adventure-seeking kite-surfers and yoga hippies taking part in Mayan purification rituals, but there was plenty of room for people like us who just wanted to eat guacamole and ceviche and drink the occasional margarita and the not-so-occasional mango agua fresca while sitting out in the sun for too long and getting tans and freckles and burned and heatstroked despite liberal application of biodegradable sunscreen and floppy hats. Luckily there was always an umbrella around to retreat under. There were restaurants attached to most of the hotels, and while none of them were terrible, they mostly weren't very special. They seemed to cater to the yoga crowd or a more old-school tourist crowd. 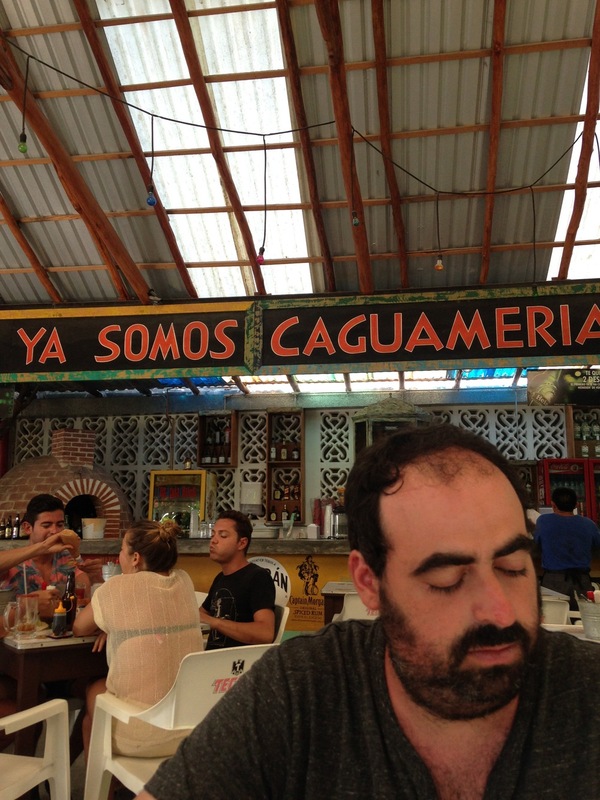 We had fine meals at places like Ziggy's and Zamas, some nice chilaquiles at Mateo's and a fancy lunch at El Tabano. Though it was recommended, we never made it to Casa Jaguar as they were only open in the evening and although we thought we wanted to check out some of the nightlife there and at Papaya Playa Project, we found it hard to gather the energy to do much of anything after 8pm. 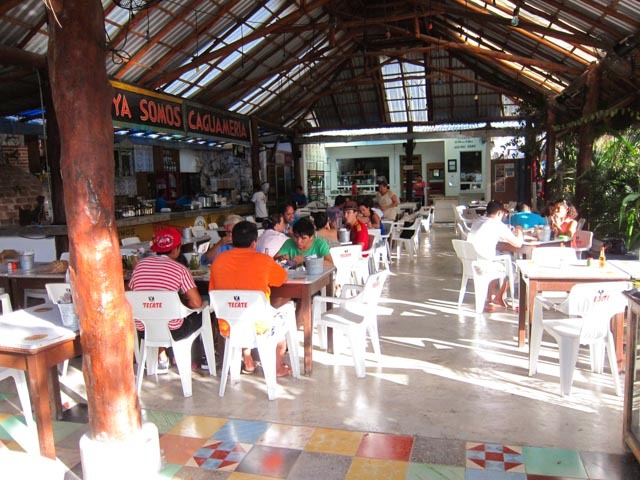 The second best meal we had on the beach road was at the much recommended Posada Margherita. 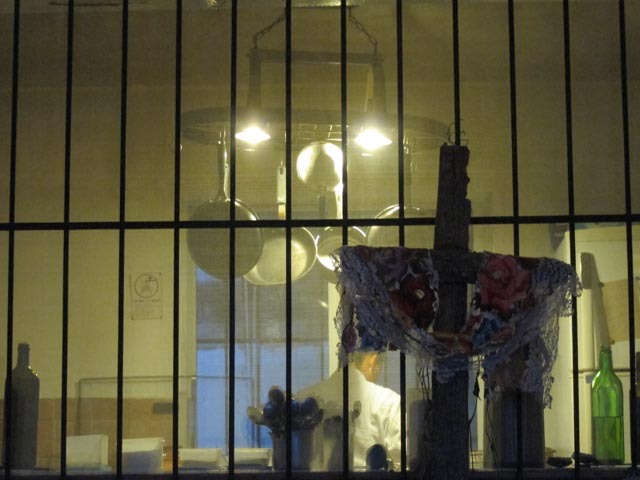 We didn't understand why everyone kept recommending we go to an Italian restaurant in Mexico. It made more sense when we learned that they make the pasta to order, they poach the fish in seawater and basically have the most beautiful setting imaginable in paradise. Most of the beach road spots were walkable, some close, some a bit of a hike. Definitely easy to bike if you're that type (we are not). Easy by car but not a lot of parking. There were cabs constantly driving up and down the road. But our favorite thing was to walk to dinner along the road while it was still light out (and slightly less treacherous), then cut through a hotel and walk along the beach back to our cabin under the star-filled sky (we don't have those in NYC), with conservative use of a flashlight, mostly to see just to watch the cute little crabs scurry about. While we didn't go to the nearby Sian Kaan Biosphere (the only real way to see it, it seemed, was by boat and we don't do boats), we saw plenty of other wildlife: exotic creatures like pelicans and snakes (small and large), a possum, two normal raccoons and two special Mexican raccoons called coatimundis, loud black birds, a solitary peacock in a garbage dump, kittens and dogs and lizards...so many lizards that the site of an iguana the size of a small car was downright boring by the end of the trip. Just kidding, we'll never get bored of iguanas. Do you know that thing that happens when a restaurant gets a good review in the New York Times or the New Yorker and you know to not even try going there for like a year? (goodbye Bunker...) Well a little over a month before our trip the NY Times had this to say about the best restaurant in Tulum, Hartwood. They opened on Thursday night and we got there around 7:30, and we thought "great, no line", only to be told that they were done taking names for the night. So knowing they open at 6pm, we showed up the next night at 5:15 to find a line that would be down the block, if they had blocks. By the time we got to the front of the line they had already finished the first seating and we were told we could put our name down to wait for the second seating at 7:30 and come back later or just wait there. We figured we'd wait as it was quite pleasant, and they quickly took a drink order, so as far as waiting is concerned, sitting in the Mexican jungle with a cocktail is not the worst thing in the world. Eventually we were seated and had our meal as the sun went down. To fight bugs, one of the servers walked around with one of those swaying incense pots that filled the air with smoke and smell that only added to the entire sense-overload experience. The dinner was one of the best we've ever had, and we've had a lot of dinners. All the food is locally sourced and cooked over the open fire in the jungle and was totally delicious. I'll leave it to the professionals at the New York Times to further describe the place. We thought we might go see Chichen Itza, but rather than take the 2.5 hour trip to get there, we visited two closer Mayan ruins instead. 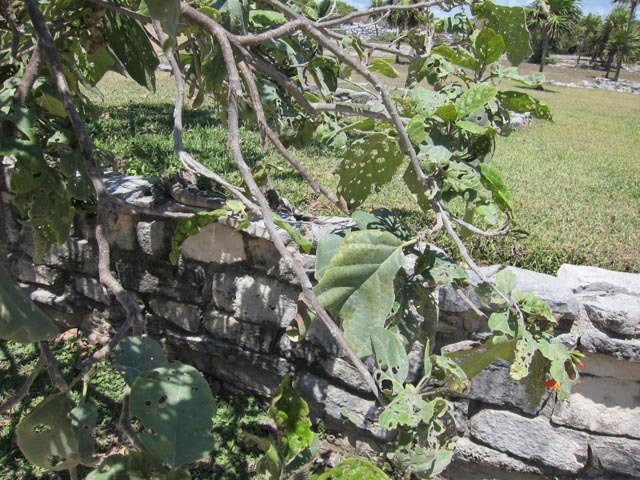 The first was Coba, a settlement about a forty minute drive from Tulum. The drive was direct, pleasant and very well-marked. 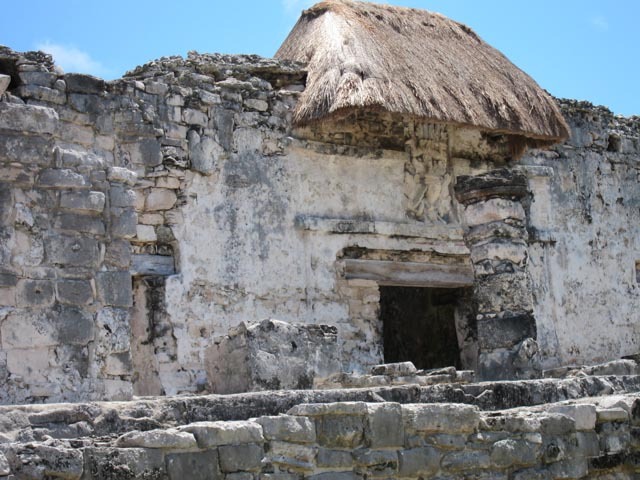 Coba was settled in around the first century and wasn't abandoned until the sixteenth century, during Spanish colonization, although it was at the height of its power around the 7th-10th centuries. The former city was built around two lagoons and covers a lot of ground, only a small portion of which has been cleared from the jungle. It takes two to three hours to cover the cleared areas on foot. 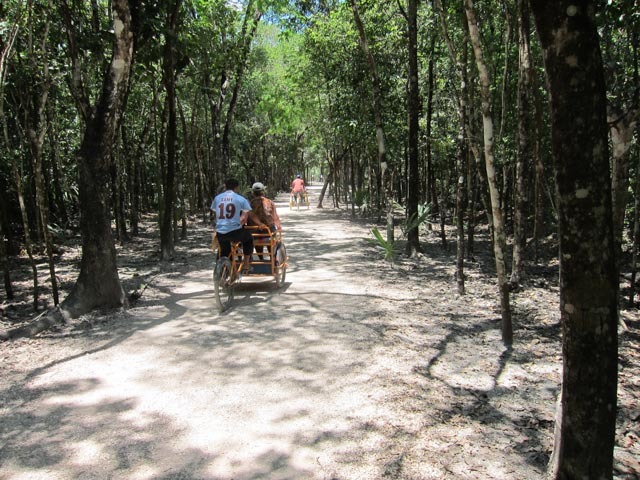 The paths are the original paths created by the Maya, called sacbes, or white roads. One can also rent bikes or be carted around by a guides on bikes. We visited three temples, some smaller structures and two ball courts, which were really exciting to see. The main temple, Nohoch Mul, is the tallest in the Yucatan. Visitors are allowed to climb it, but despite the fact that children, elderly folks and one man on crutches made it at least partway up, we opted to sit in the shade and take it in from the safety of the jungle floor. 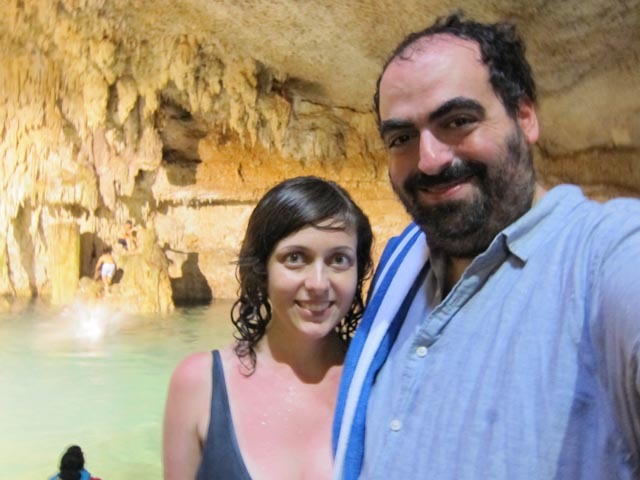 After we trekked around the Coba ruins, we set off to find a cenote called Choo-Ha, which had been recommended to us by a friend. 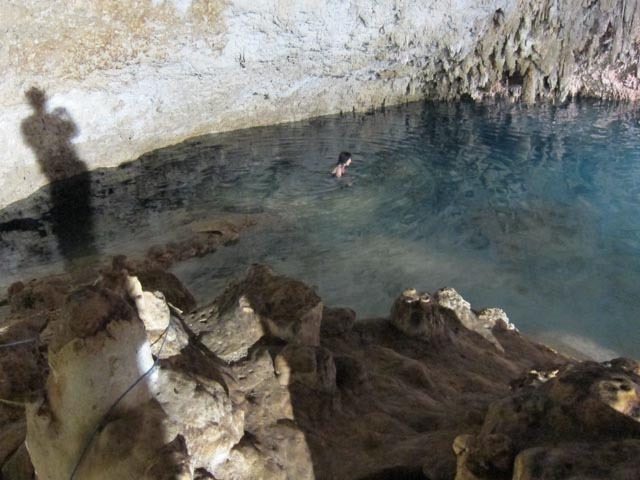 Cenotes are caves filled with fresh water and they dot the region--there are bigger more well-known ones and plenty of smaller ones marked with cardboard signs. Choo-Ha was only discovered in 2003 and a group of locals raised the money to open it to the public. 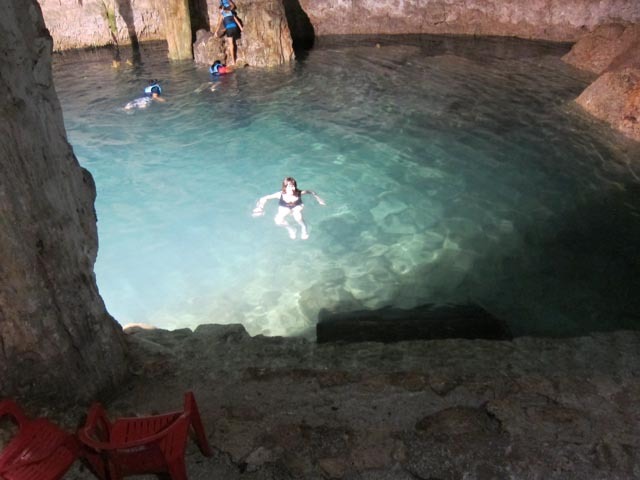 It is about a ten minute drive from Coba. Visitors pay a small fee (we bought tickets from the parking attendant at Coba) and then, once there, shower to make sure no chemicals from sunblock or hair gel contaminate the pristine water. 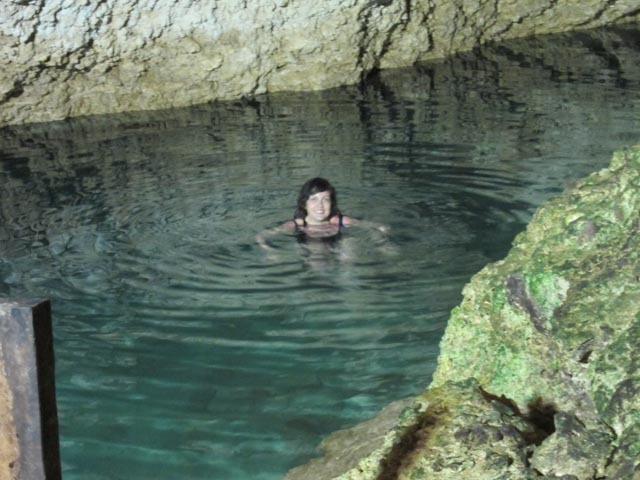 After we rinsed off, we climbed down a rickety set of wooden stairs and emerged into a beautiful cave, full of stalagmites and stalactites and cool, perfectly clear water. There was one other tourist couple there and everyone else was local, escaping the hot day with their families. 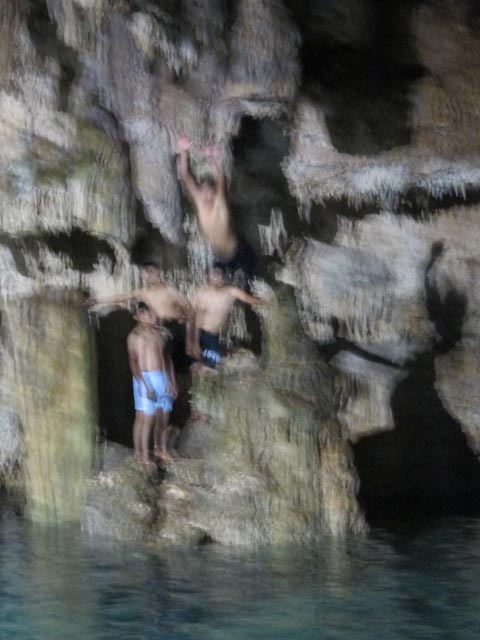 We swam and explored peacefully for a while until a group of brazen teenage boys showed up and started launching themselves off progressively higher and higher rock formations. We loved them and feared for their lives in equal measure. We think this was our favorite part of the trip. 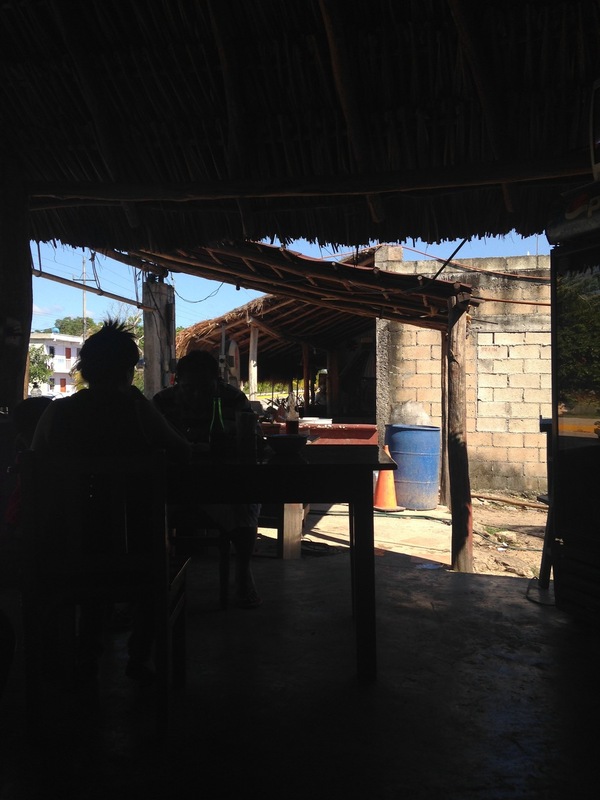 On our way to Coba we passed a bunch of road-side food stands and made a mental note to hit them on the way back. We parked in front of one that had a guy grilling chicken out front but we walked past wanting to check out the other offerings. At the end were two women selling chicken tamales which were totally delicious. We then sat at the one next door where a woman who spoke no English (we speak no Spanish) lifted the lids of all her pots and pans to show us what she'd been cooking up. After saying, "vegetariano?" and shrugging our shoulders a few times, she offered up cheese and bean empanadas. Seeing her reach for some fresh masa, we knew this was going to be fresh, and not fast. Feeling guilty about parking in front of the chicken guy, we got some of that to go as well but ended up too full to eat any. The other set of Mayan ruins we went to were the Tulum ruins. We had a false start driving down a dead-end beach road on our first attempt to visit them. If you're staying in a beach hotel and have a bike, you can bike up to the top of the road and enter, but if you're driving, you have to go around back to the highway. 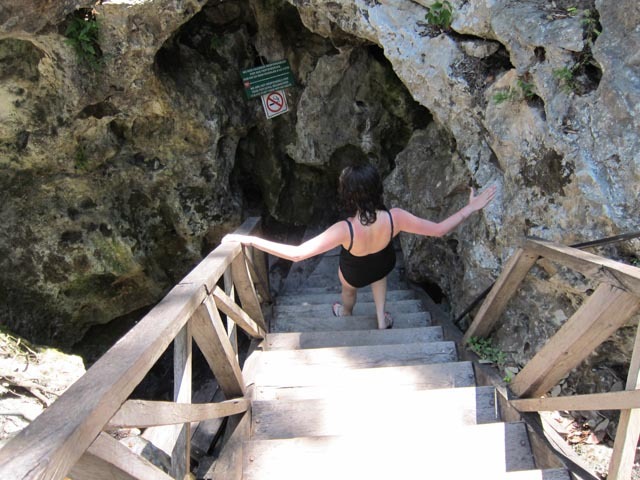 When we figured out the correct way to get there–easy and well-marked, just like everything else in the area–we found ourselves in a sort of Mexican Disney-nightmare tourist trap gauntlet that led from the parking lot to the ruins, which are perched overlooking the Caribbean Sea. 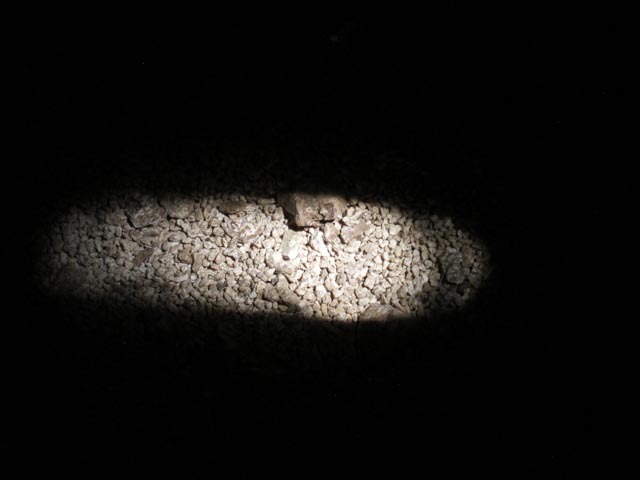 We successfully fended off folks wanting to sell us everything from coconuts to straw hats to photographs with "Mayan warriors" and spider monkeys to Subway sandwiches, finally emerging into a bright, blisteringly hot archaeological wonder. The height of this city's power was from the 13th to mid-16th centuries, although people had been living there centuries earlier and continued to visit the site for ceremonial reasons until, apparently, the late 20th century. At one point, an American tourist in a baseball cap announced to the group he was with that "this stuff has been here since Jesus's time." It's unclear if he thought the structures dated back that far or if he thought Jesus's time was the 13th century, but either way, he was a national embarrassment. 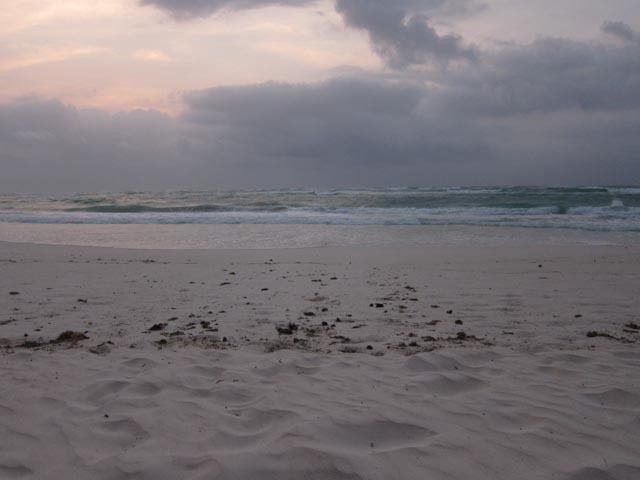 The city was walled–"Tulum" means wall–and faces the rising sun–"Zamas," the Mayan word for the city, means dawn. What is preserved is the ceremonial center of the city, not the homes of the city-dwellers, which have been lost to time. The city was an important port; visitors can look down over the beach that used to be a busy commercial hub and can cool off a little further over along the shore. It's a bit crowded but beautiful and worth the visit. 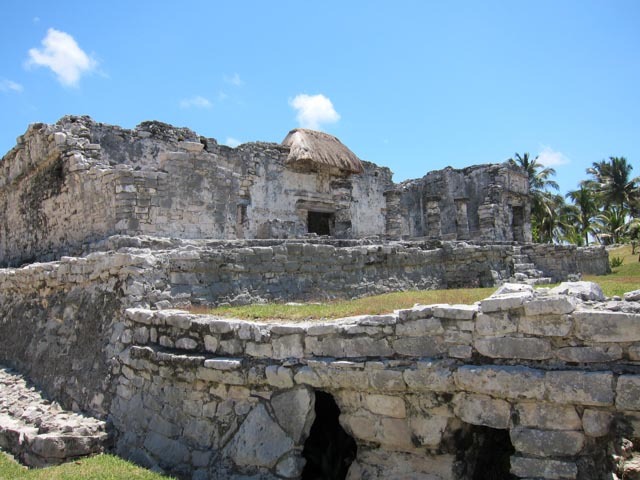 In addition to the ruins and beach, there's also Tulum Puebla, which is the actual city. There are tons of cabs to take you there or it is a quick bike ride from the beach, but we drove and found it easy to park right on the main street in the angled parking spots, the ones not reserved for cabs. No muni-meters in site, no parallel parking, no alternate side street cleaning--like we said, paradise. The main avenue that runs through town, Ave Tulum, is actually highway 307, the same road you drive down from Cancun, and along the main strip there's plenty of restaurants and shops for the tourists, hostels, a few "clubs" and bars, mostly cheesy but the occasional cute/cool. place like Todos Santos which wouldn't have looked out of place in (insert hipster neighborhood of your choice). Step one block off the main avenue and you'll find an actual city with tons of little restaurants, taquerias and all kinds of vendors serving a predominately not-tourist crowd. A lot of the town is sleepy during the day, but after 6 or 7, tons of places open up. Saturday night we walked through the park near the center of town and had an amazing time people watching, catching a woman's football (soccer) game and a rap battle (we think, it was in Spanish). While you may miss the ability to eat on the beach with the sea breeze in your hair, there seems to be more good food options in the city and we wished we had time to check them all out and take advantage of them. We had some great tacos at some random taco stand, Chaya (a local green in tons of food there) tamales from Don Tamale and quesedillas from another stand. We also hit two really popular spots that were on the main avenue just past the main strip, more or less on the same block. 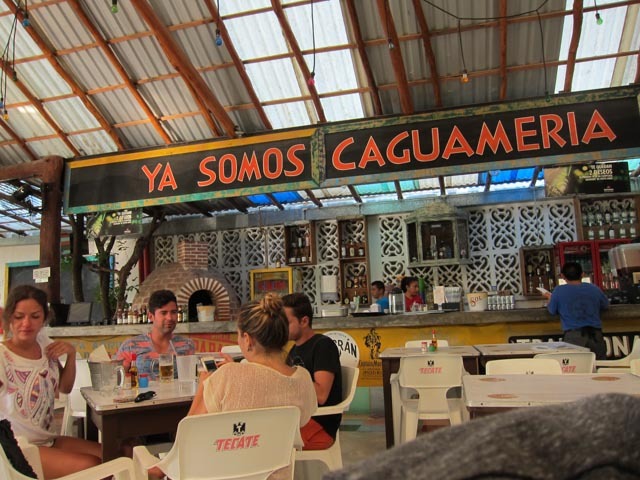 The first was El Camello which serves as a fish-market and a place to get ceviche. We lucked out as it wasn't very crowded when we went. When we came back a few days later to go to Los Aquachilles a few doors down, El Camello had a line out the door, which is just an expression, since there wasn't a door. Los Aquachilles closes early so best for late lunch, early dinner or mid-afternoon lunchdinner. Both were filled with equal parts tourists and locals and were great. Maybe not as good as the ceviche guy we go to in Jackson Heights, but good. The second best meal of the trip was also the second most recommended restaurant, Cetli. We got a reservation for our last night of the trip. It's a block off the main strip in what seems like an a house, with a woman cooking dinner for you. They make a sort of high-end fusion Maya/Mexican food. It's one of those places where the menu looks interesting but doesn't prepare you for the experience, which included a complimentary platter of homemade cheeses and breads and little empanadas and other goodies. The food was delicious and the setting was cute and pleasant. Definitely get reservations. We know you're supposed to say "I wanted the trip to last forever" but to be honest, one week was good! By the end, the weather started getting a bit worse. 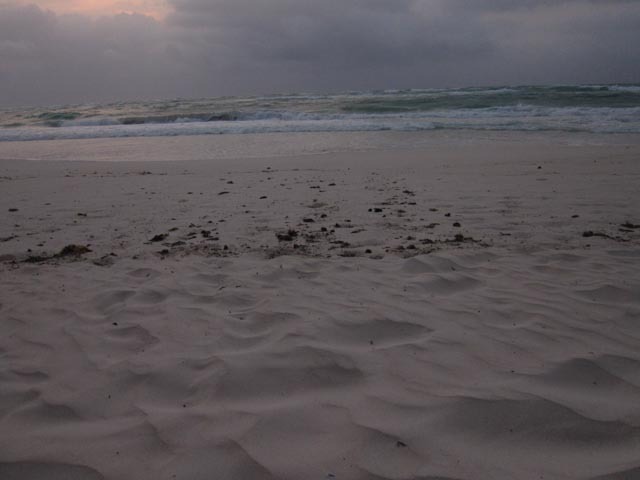 It got humid, the water got rougher, the sun started to disappear behind clouds and haze. It was time to go. The drive back to Cancun was muy facil, even if we did spend an hour at Thrifty returning our car. We then spent some quality time in the Cancun airport, wondering how we could avoid buying T-shirts at Señor Frogs and snobbily judging all the other Americans who spent the past few days getting wasted in Cancun instead of being cool like us and going down to Tulum. Finally, we ruined all good feelings we had regarding food with a final meal of Johnny Rockets French Fries. Not even one place to get ceviche in the airport. The flight back was comfortable, we had a row of three to ourselves and Even More Space® seats (give us a break, it was our honeymoon) and arrived in a still surprisingly bitter cold New York, driven home by the only cab-driver in Queens who doesn't know how to get from JFK to Woodside. 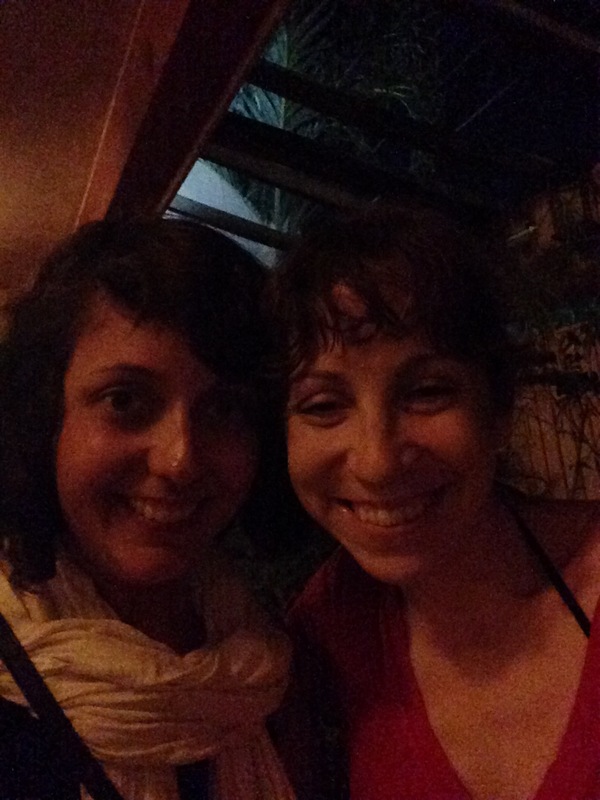 We had a great time in Tulum. While it is technically off-the-grid, as in the power grid, we literally ran into people we know there and about two hundred of our friends are headed down there soon or just got back. 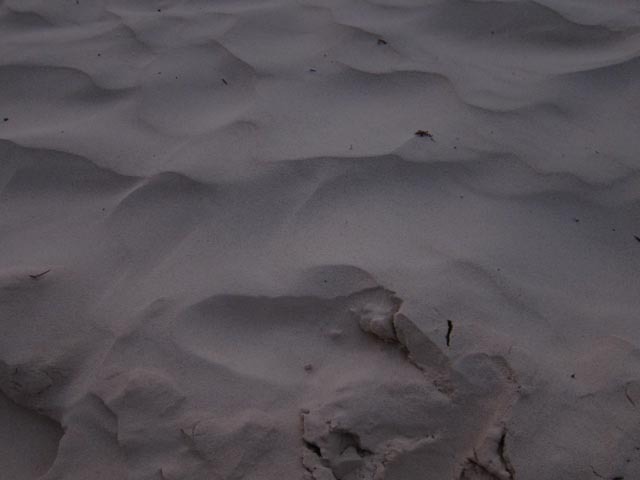 The beach isn't as chill as it probably once was in the not-so-distant past; the people who say it is must not have been down there in a while. But the history is amazing, everyone seems really nice, it is affordable as far as tropical paradises go and the fine, white sand somehow never gets hot. 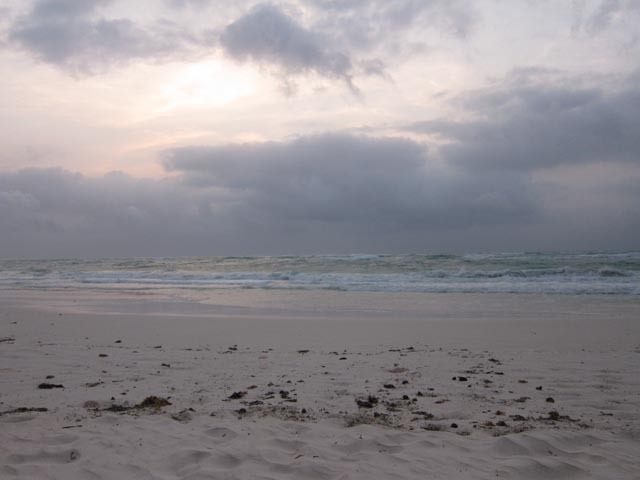 You can fall asleep listening to the ocean waves and wake up to a bright orange sunrise. Even if all of New York goes down there at once, there will still be that.